Thronebreaker: The Witcher Tales is the latest title from CD Projekt Red based in the world of my main man, Geralt of Rivia. 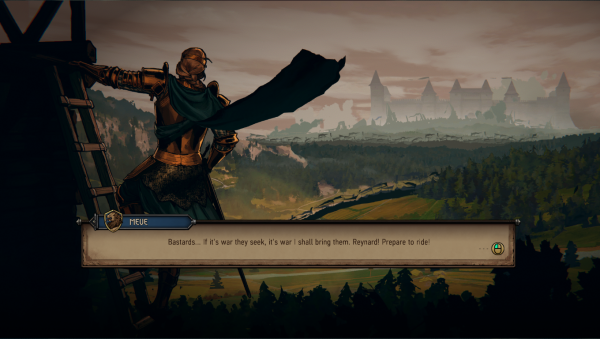 Borrowing heavily from the novels by Andrzej Sapkowski, Thronebreaker features a host of new characters and locations within The Witcher universe, as well as using CDPR’s other venture, Gwent, as its basis of combat. Those of you who have played The Witcher 3 will be familiar with a base version of Gwent, and some of you may even have played the Gwent beta that’s been available for just over two years. 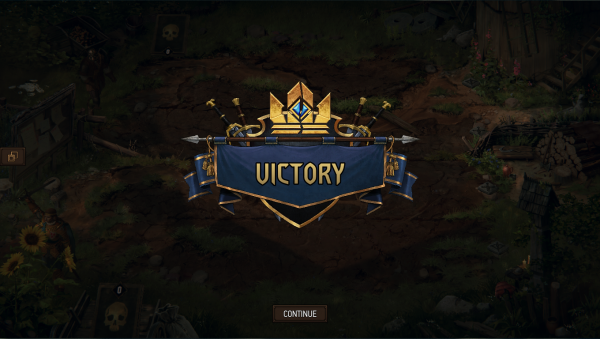 Thronebreaker was a game mode that was introduced to the beta and proved so successful that CDPR fleshed it out into a 30-hour standalone RPG. Using the words “Witcher” and “RPG” in tandem is a dangerous mix as Thronebreaker had some big boots to fill. And by the Prophet of Lebioda, it delivers. Thronebreaker’s lead protagonist is the revered Queen Meve of Lyria and Rivia. Known for her beauty, cunning and battle prowess, Meve is an exceptional protagonist. She is a monarch, a mother, and a person all her own. The writers have certainly loaned her Geralt’s sarcasm and wit, as well as Triss’ compassion and Yennefer’s confidence. As formidable in battle as she is in diplomatic discussions, Meve is a powerful new addition to the franchise’s stalwart cast. There are five new regions that feature in the game that we’ve not visited in any of the previous Witcher games: Lyria, Rivia, Aedirn, Angren and Mahakam. Each region is unlocked after a certain number of tasks have been completed and all areas have unique enemies, stories and companions. For those in doubt over whether this is a true Witcher game, you need only play it for a few moments to recognise all its trademarks. The same sound effects can be heard, it has the same fast travel, and familiar icons litter the map, as well as an even darker version of the universe’s trademark morally grey choices. Much like The Witcher, the ramifications of some choices are felt immediately, whereas others become more apparent down the line. As with all Witcher games, things are not as they appear. In the opening hours, Meve is faced with the news that a group of bandits, The Strays of Spalla, have raided various villages in Lyria and stolen gold meant for the Crown. 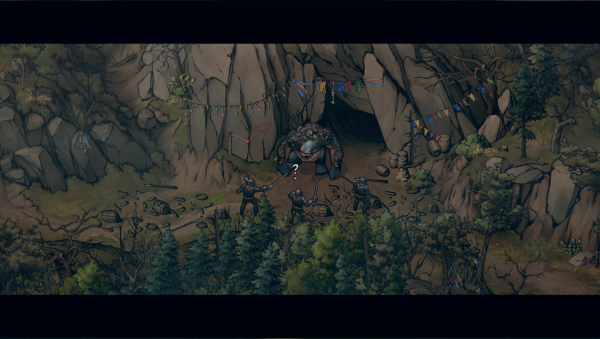 As Thronebreaker is set sometime between The Witcher 2 and 3, the Nilfgaardians have crossed the Yaruga into the Northern Realms. Upon arriving at the castle, Meve discovers that one of her trusted advisors, Count Caldwell, and her son have conspired against her and will bend the knee to the Nilfgaardians, forcibly removing the Queen and locking her in prison. The next segment is reminiscent of The Witcher 2 where Geralt and Vernon Roche are sitting in prison; an unlikely alliance forms. Meve is forced to merge what little army and pride she has left with Gascon’s loyal band of Strays, and flee Lyria in search of allies. The Scoia’tael feature heavily throughout the game, reminding you that this is not a binary war; it is one with many fronts. Not only must the Queen contend with civil unrest between humans and non-humans, she must also deal with betrayal and brutality from both the Scoia’tael and the Nilfgaardians, the rough and rowdy Skelligens, the wildly differing opinions of her companions and the monsters that prowl the map. The twists and turns, the morally grey choices and the abject cruelty in Thronebreaker are a reflection of the books. 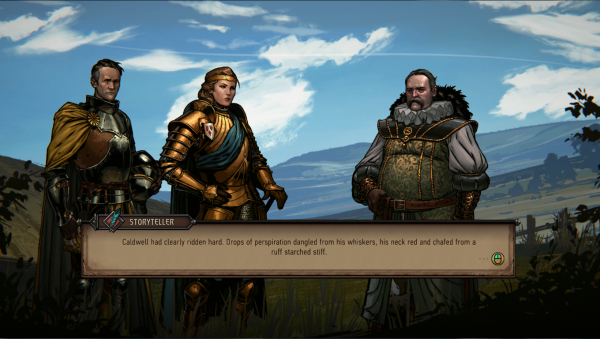 The Witcher 3 had some harrowing choices, but Thronebreaker stays true to a lot of the book’s canon and lore, which somehow feels more difficult to swallow as the game includes a lot of descriptive text as opposed to almost life-like graphics. Some of the choices you make have very clear consequences, and certain choices will only be available if you have completed specific tasks or recruited specific characters. It is, in all intents and purposes, a Witcher game with unique combat style and a look that borrows a page out of Telltale’s stylistic book. 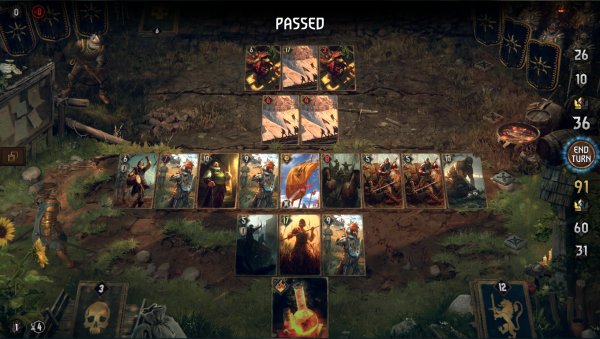 Rather than pirouetting with a sword and setting everything alight with Igni, Gwent is the mode of combat in Thronebreaker. The game uses Gwent: Homecoming for its playstyle, which is a huge departure from the vanilla Gwent in the Witcher 3. It’s used as both a plot device and a combat method, as outside of dialogue, you’ll essentially need to win a round of cards to progress with the story. Depending on your choices and at what point of the story you’re at, cards will disappear from your deck. You need to recruit troops as you go, either by using recruitment stops or interacting three or four times with NPCs. You can recruit, or build, cards from your command tent, have various Trinkets that will heal your allies or deal devastating blows to your enemies, as well as special Leadership powers for Meve. Most cards have a unique ability, whether that’s dealing damage, healing allies or spawning copies of itself. It can be quite overwhelming at first when you’re trying to read all the card’s descriptors and get your head around them, but it gets easier over time. The tutorial doesn’t really go into enough depth about the Synergy between cards, so some of the puzzles can be very frustrating in the first few hours of the game. Synergy plays a huge role in Gwent, wherein a unit can interact with other cards in various ways. There’s no countdown timer in this version of Gwent, so it is important that you take the time to read the cards in your hand, as well as your enemy’s hand. It may be necessary in some cases to sacrifice one of your own cards if it means that on its “death”, it will deal high damage to an enemy, for example. There is a range of scenarios in which you’ll play Gwent, such as battles, random encounters and puzzles. A puzzle piece icon will usually appear above a monster, and upon completing the puzzle you’ll usually be rewarded with either a card or a puzzle piece that forms part of a new, soon to be unlocked card. The puzzles, as well as some of the battles and encounters, have special rules, usually involving it being a one-round, shorter match and a pre-determined hand. Unlike many other puzzles or collectable card games, almost everything in your hand should be used. I have only come across one special rules game where I didn’t use every card in my hand, so it’s important to remember that in almost every instance each card has an intended purpose. Before each interaction involving Gwent, a screen appears detailing what you have to do, whether it’s defeat all foes, make sure Meve doesn’t die or make sure no cows get eaten – a scenario I’ve had twice. You’ll have to return to your Command Tent regularly to keep an eye on your deck because it’s quite easy to become complacent and not switch the cards around often enough. Overall, using Gwent links the RPG story and card-based combat together seamlessly and it’s an incredibly clever execution of two of the best features of the Witcher universe. You can access quest information, letters and other items from your knapsack or pitch a camp to meet with your companions in the Mess tent for some interesting dialogue or head to the Royal tent to get an overview of everything you’ve learned so far and what you need to do next. 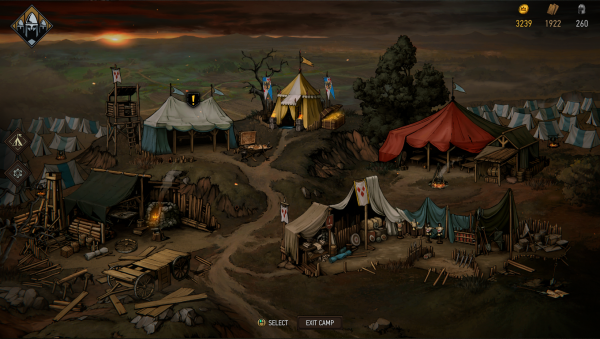 The Workshop is where you improve each tent, allowing for better perks and chances of success. Improving the Royal tent reveals more areas of the map as well as allowing you to equip more Trinkets in battle, and upgrading the Workshop unlocks more cards and the chance to earn Gold after matches, which is always handy. Other upgrades including increasing Meve’s speed and allowing for more companions in the Mess tent. Speaking with your companions reminds me of the Mass Effect series, where you get limited dialogue for a time before more unlocks, enabling you to learn more about them, their past, and more. The characters are well developed, despite only seeing some of them for short periods of time. As this is only a 30-hour game (bear with me here), with so much to do and so many characters involved, you know exactly where you stand with each named companion from the get-go, with certain developments or breakdowns in relationships appearing along the way. Each interaction and quest has meaning and relevance to the overall story. So if you run around the map ignoring various side quests and interactions, it will definitely interfere with how your story will play out and influence which of the 20 endings you will get. You’ll often see the message “You’ve chosen one evil in favour of another” which demonstrates how difficult some of the quest lines are. Whilst Geralt has to make decisions that affected at most a small village, but often only one or two individuals, playing as Meve means you’ll often need to make decisions that will affect your army, you enemy’s squadron, prisoners and ones that risk you losing a companion along the way. 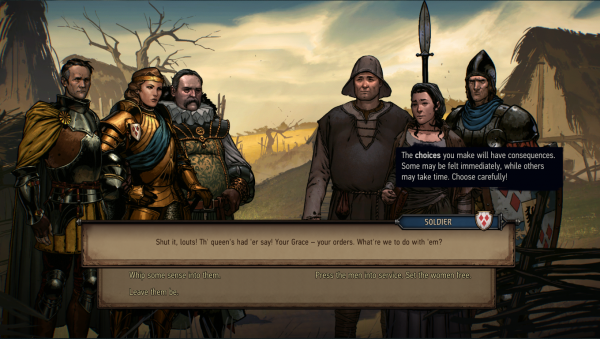 Thronebreaker emphasises that there are no “right” choices to be made, so the “best” ending of the game need not necessarily be the “right” one. If you liked any of the Witcher games, novels or Gwent, then I would implore you to buy Thronebreaker. It’s like a 30-hour long easter egg, filled with references, inside jokes and an engaging story with an empowering lead. 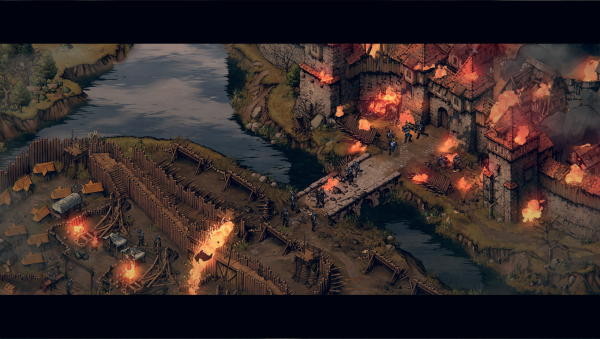 Thronebreaker: the Witcher Tales fits perfectly into the Witcher universe, bridging the gap between The Witcher 2 and 3 and elaborating on its already substantial lore. Many of the characters and references you may recognise from the games, novels or comics, and of course, there are a few familiar names and faces that appear to link the games together. For those who haven’t read the books yet, Thronebreaker would be your first port of call to get a taste of what they’re like. If I were to suggest that you play The Witcher games in order, Thronebreaker would be one of the first titles on that list as it helps set the stage for Geralt’s adventures as well as give fans a greater understanding of the wider Witcher world. So, what would you say to a little game of Gwent? Thronebreaker: The Witcher Tales is out now on PC, PS4 and Xbox One.